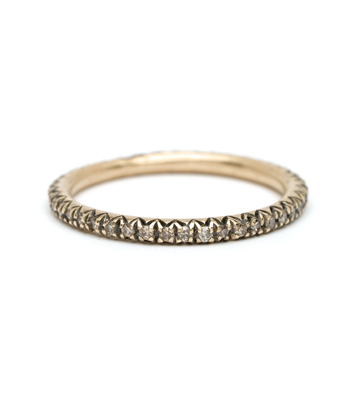 An exquisite blend of old and new elements, the Elisabeth band is the epitome of vintage chic. 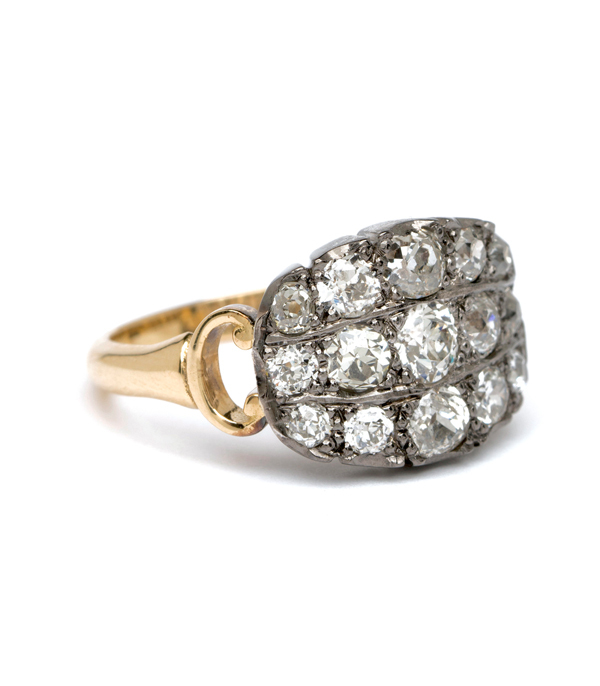 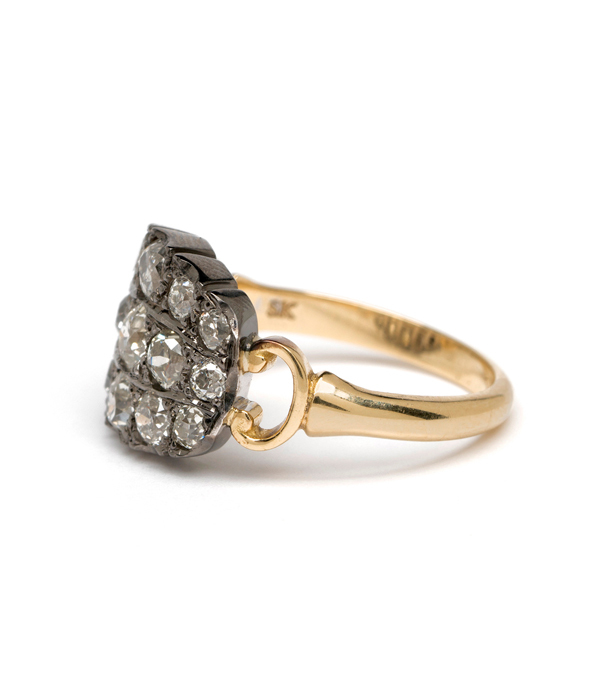 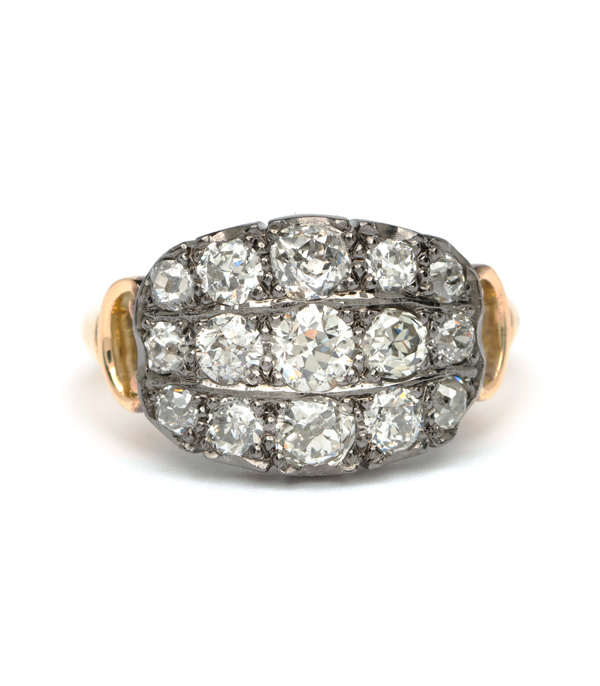 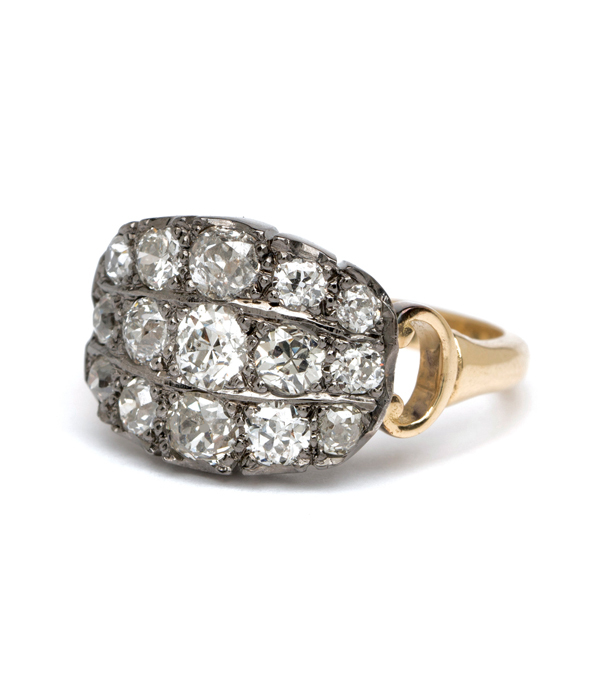 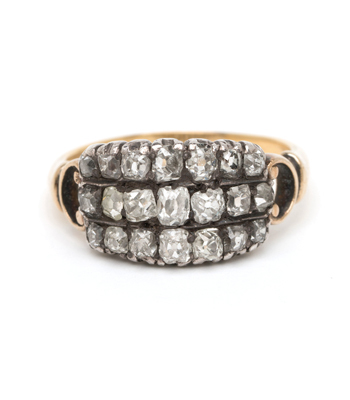 This unique antique-inspired ring features three rows of perfectly imperfect old mine cut diamonds, set on a blackened 14K gold background. 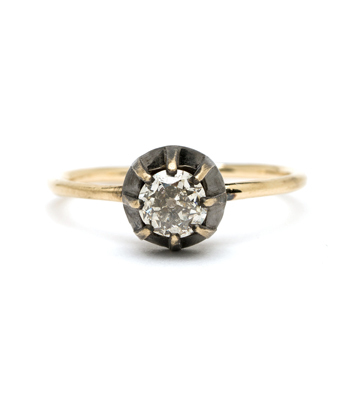 The mesmerizing sparkle of the cushion shaped Old Mine cut diamonds (1.50ctw) contrasts wildly against the darkened metal. 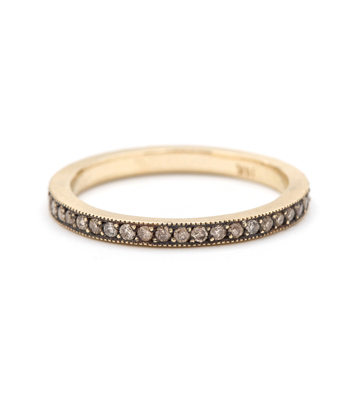 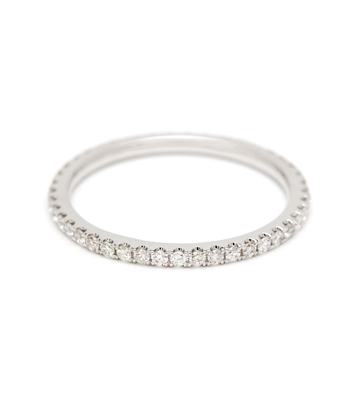 A slender 18K yellow gold shank meets up to this ring’s sparkly top with a buckle shaped connection, giving this solid band a touch of openwork and lightness. 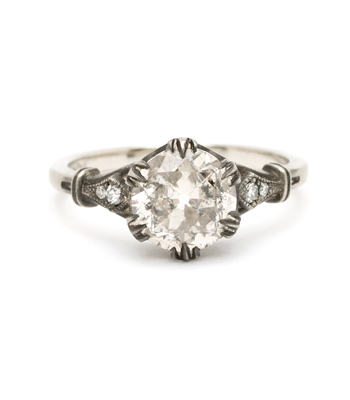 Designed for a modern woman who's a vintage romantic at heart, this one of a kind piece would make a regal engagement ring or right-hand ring alike.